December Gets Off to a Snowy Start! Sunday Night: Clouds increase. Flurries. 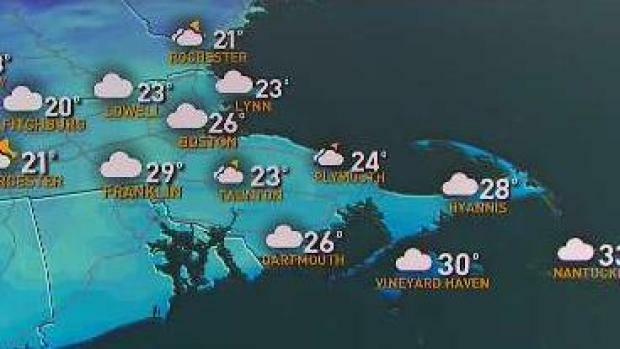 Lows in the mid 20s Monday: Morning flurries. Afternoon clearing. Seasonable. Highs in the upper 30s. Tuesday: Snow changing to rain. Highs in the mid 30s. Our first moderate sized snowstorm of the season is on the books. At Logan Airport, the official observation for a storm total was 6.1”. Most snowfall amounts ranges from 4 to 7”, but there were locally high amounts. The top amount in the Commonwealth was Boylston in Worcester County at 8.2”. Framingham also hit 8”. These amounts could have been higher if a) most of the snow fell at night and b) we had cold precede the storm. As snow fell, the warm ground melted the snow from the bottom up. It took heavier snowfall rates to help sustain the accumulation. Today, the snow melted with temperatures above freezing, but this thaw wasn’t as dramatic as what we saw last year. In Boston, after 4.3” fell on December 17th, temperatures on the 18th climbed into the upper 50s! We haven’t received a whole lot of snow during December over the last 5 years. In 2012 only 3.4” fell at Logan Airport, in 2013 11.7”, in 2014 only 0.3”, in 2015 0.9” and in 2016 we received 5.9”. We still have 21 days left in the month, so we could add to that 6.1”. Flurries or snow showers are possible tonight with a vigorous disturbance moving though, not much more than a coating. 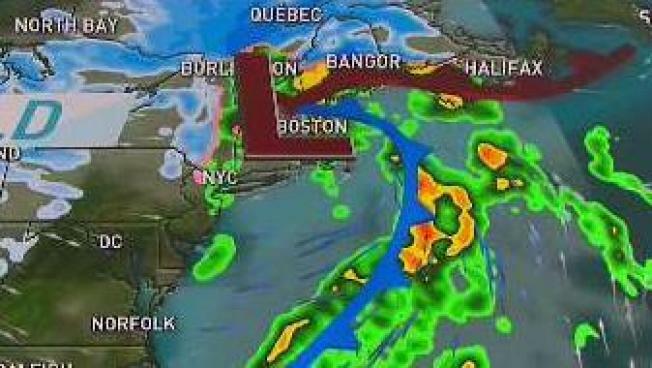 The bigger storm will move in on Tuesday. It could begin with a burst of snow everywhere. If the day starts with snow, a quick inch is possible. Along and south of the Mass Pike it will quickly change to rain. In the higher elevations we will likely stay all snow. In the higher elevations of Vermont, New Hampshire and Maine up to a foot of snow is possible. Behind the storm will come some of the coldest air of the season so far. Temperatures Wednesday, Thursday and Friday might not hit 30°. It will also be blustery. We are expecting below zero wind chill at times as well. Bundle up!